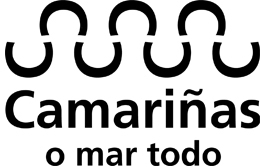 “A barge loaded with earth ran aground on the beach of Reira in Camariñas. 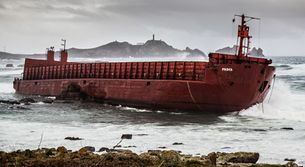 It was in transit dragged by the ship West with six crew members on board, from the Dutch Antilles, which was towing the barge Prima of 105 metres’ length from Odessa (Ukraine) to Riga (Latvia), to A Coruña, while the barge ran aground in the Trece cape area, on the Costa da Morte. As reported by Maritime Search and Rescue, the West alerted late Monday afternoon of a failure in the tow line when she was 15 miles from Touriñán cape. The West, 40 metres in length, towed the barge again without success, given that at 1.02 a.m. on that Tuesday, she reported that the tow line had broken, becoming tangled in the propeller, which was out of control. Maritime Search and Rescue stated that the Centre for Maritime Rescue Coordination located in Finisterre had already mobilised the vessel Don Inda to help the drifting barge to the coast, but the Centre for Maritime Rescue Coordination in Finisterre finally opted to tow the West “to safeguard the interests of the six crew members, which ultimately prevented towing the barge as well”, pointed out the same sources. “The operations were complex and it was night and the weather conditions in the area were adverse with westerly winds of force 7-8 (51-74 km) and waves of 4-5 metres”, informed Maritime Search and Rescue. Don Inda towed the West five miles north off Vilán cape at 2.38 a.m. towards A Coruña, where it would arrive at 1.30 p.m. approximately. All the crew members “are safe”. The towed 105 metre-long barge turned quickly towards the shore, running aground at Trece cape, in Costa da Morte. The Maritime Search and Rescue technicians from strategic base Fene (A Coruña) are to be found at the beaching spot inspecting the barge’s condition. The storm that lashed the area during those January days prevented the rescue of the barge before it split in two. The tasks of removing gas oil from the barge had been performed previously. The West shipowner will need to present a plan to remove the ship.